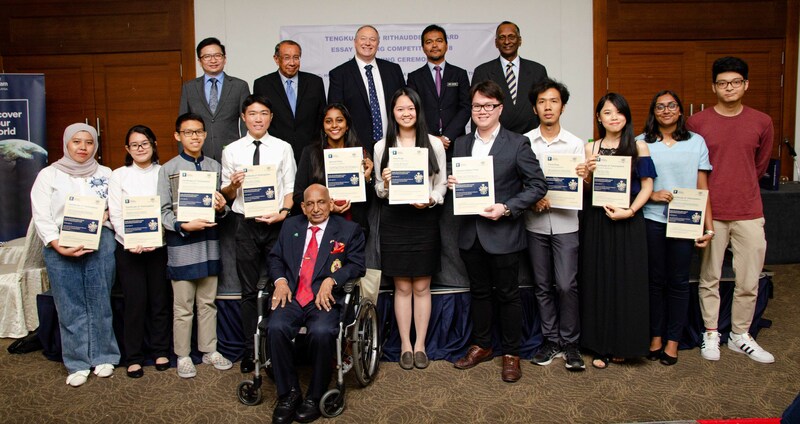 The prize-giving ceremony held at the Royal Selangor golf club on 1 September marked the end of the Tengku Ahmad Rithauddeen essay writing competition titled: ‘How Best to Promote Malaysia’s National Interest in a Changing Global Environment’. 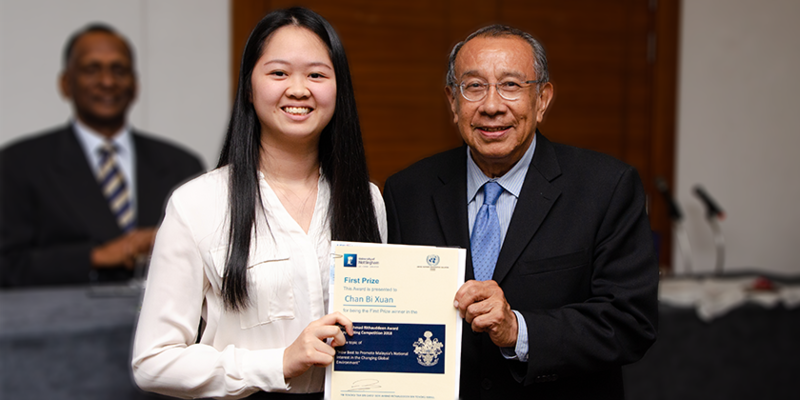 Chan Bi Xuan, a first-year student from Nottingham Business School (NUBS) at the University of Nottingham Malaysia took home the first prize of RM2,000, which also marks the first time a student from the University of Nottingham Malaysia won the competition. The competition, which has been held annually since 2014 is named in honour of the founding member of United Nations Association of Malaysia (UNAM), YM Tengku Ahmad Rithauddeen bin Tengku Ismail. In the spirit of Tengku’s life’s work to promoting good diplomatic relations, the University has continued to jointly organise this competition with UNAM. “This competition has inspired me to become a more proactive citizen of Malaysia. I have learnt so much about Malaysia’s economic and political landscape through this competition but I feel like there is a need for me to do more than that. I am now motivated to put myself out there to create a greater impact on society. This competition gave me the chance to realise this and for that I’m thankful.” expressed Chan Bi Xuan, the winner of this year’s competition. Taking second place was Vydehgi Pillay Kumaraguru from Methodist College and Muadzzam Abdullah from our University with the third prize. Congratulations to all winners and we look forward to next years competition! For more information, please contact Seow Hsin Vonn.